Simply, yet a very effective statement of the theme. I like this. Definitely shows the desolate, barren feeling. The photo looks a little grainy, but that could possibly just be my computer. Overall, I love the photo and it fits the challenge beautifully. Greasewood desert, right on... Good shot. 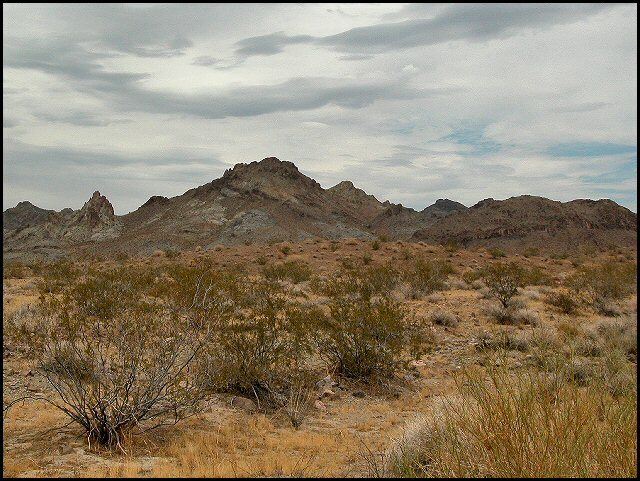 Nice lonely rugged landscape. I'm not sure how it wold have turn out, but I would have tried changing it to sepia or mono to see if it had more visual impact. Beautiful shot. Meets the challange. The color and lighting is perfect. Good DOF One of my favorites. Good luck. Loved the dry brown tones of the earth on this one. Proudly hosted by Sargasso Networks. Current Server Time: 04/18/2019 10:59:56 PM EDT.